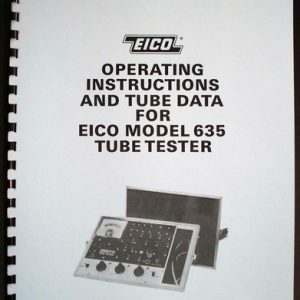 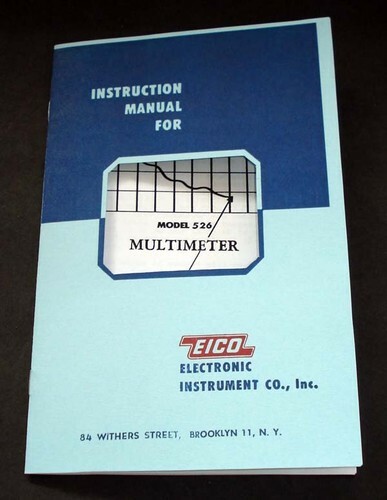 For sale is reprint of EICO Model 526 Multimeter Instruction Manual. 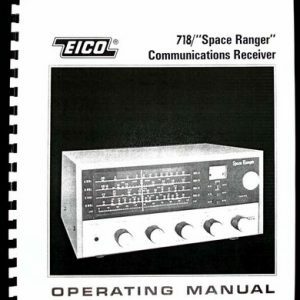 Manual is 8 Pages long and includes schematic. 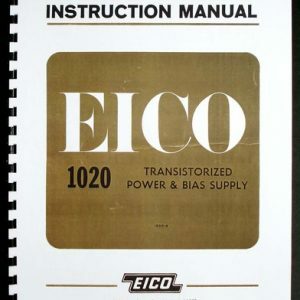 Manual is 5.5×8.5″ booklet format same as original. 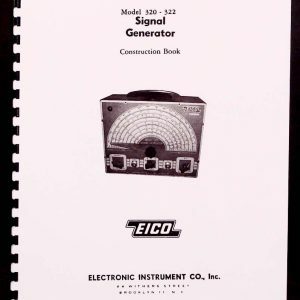 Date on Schematic is January 1951.